Peter Collier (’16) and Professor Jane Cote. The “Raise a Glass with WSU President Schulz” fundraiser was held by WSU Vancouver’s Carson College of Business May 22, highlighting the Business Growth Mentor and Analysis Program Endowment (MAP) program at WSU Vancouver—an educational experience that helps business students build their professional capacities and put their classroom knowledge to work in a real business. 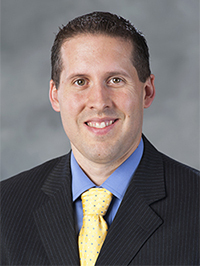 The event was hosted by Matt Larson, (’97 Crim. Jus.) Carson College/WSU Vancouver Advisory Board chair, at the Hathaway Larson LLP offices in the Pearl District of Portland, Oregon. Approximately 70 attendees, alumni, friends and other stakeholders, were welcomed by Jane Cote, WSU Vancouver academic director, and Larson. Cote gave a program overview followed by remarks by alumnus Peter Collier, a ‘16 WSU Vancouver graduate from the Carson College and past MAP participant. President Schulz and WSU Vancouver Chancellor Mel Netzhammer gave brief remarks. Among the guests were WSU’s First Lady Noel Schulz, Regents Scott Carson and Mike Worthy, Carson College of Business Dean Chip Hunter, School of Hospitality Business Management Director Nancy Swanger, City of Vancouver Mayor Anne McEnerny-Ogle and her husband, Terry, and State Representative Sharon Wylie. The collective efforts of those who participated raised nearly $50,000, which included a few generous matching gifts. The contributions will support the MAP and the Dr. Joseph Cote Endowed Scholarship. The funds will also provide scholarships and experiential programing that instills critical thinking, problem solving, and teamwork in WSU Vancouver business students. Supporters contributing $2,500 or higher received a custom Cougar head glass plate designed by Jane Cote. A special thank you to the presenting sponsor Hathaway Larson, LLP, and beverage sponsors Full Sail Brewing Company and Laurelwood Brewing Company. 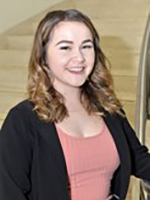 In an effort to build relationships with the Pullman community and to meaningfully impact the development of downtown Pullman, Carson College undergraduates in Clinical Associate Professor Joan Giese’s marketing research and retail management classes surveyed about 1,400 WSU undergraduate students (in fall 2017) and about 750 Pullman residents (in spring 2018) to determine perceptions of downtown Pullman and opportunities to positively impact shopping and dining. 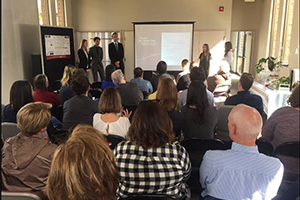 Giese’s students shared their results, insights, and suggested retail formats with city administrators, business owners, realtors, developers, and others at an event held at the Pullman Umpqua Bank. 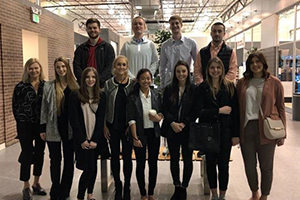 In a separate learning experience, students toured the Microsoft Retail Experience Center in Redmond and the Nordstrom flagship store in Seattle, where they learned about innovations in retail technology and the customer experience. Holly Thrasher (’95) hosted the Nordstrom visit. 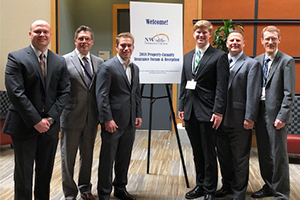 Carson College undergraduates Gator Newell and Sam Funnell attended the Northwest Insurance Council’s annual meeting and keynote panel discussion in Seattle in May. This year’s program examined insurance industry and legal issues relating to autonomous vehicles. In addition to learning about this timely issue, each student received a $1,000 scholarship from COUNTRY Financial and the Northwest Insurance Council. 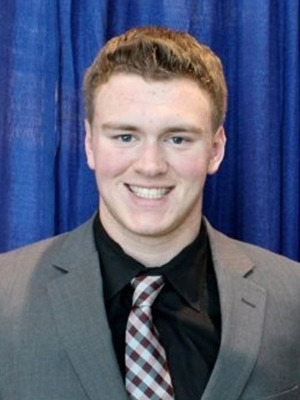 Newell, an actuarial science major and business minor from Yakima, is also a member of the Honors College. He is president of the Actuarial Science Club and plans to work in the insurance industry as an actuary after graduation this fall. Funnell, originally from Fresno, California, is a finance major. He will be a senior this fall and plans to pursue a career in commercial property and casualty underwriting after graduation next spring. 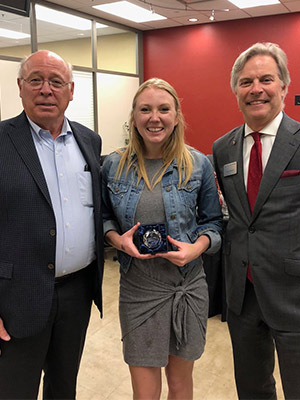 This is the fourth year COUNTRY Financial and the Northwest Insurance Council have awarded scholarships to two WSU students who attended their annual meeting. Risk Management and Insurance Advisory Board member Jody Wilson secured the scholarship donation from his company, COUNTRY Financial. Seven Carson College undergraduates received the WSU President’s Award for Leadership during the 2018 Leadership and Engagement Awards of Distinction ceremony in April. The award recognizes recipients who demonstrate exceptional leadership and service to the University and the community and support the leadership development and engagement of WSU students. Read more about the Leadership and Engagement Awards. Nam Nguyen, international business/chemistry, also won a President’s Award for Leadership. 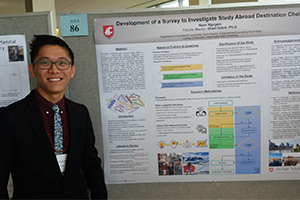 Nguyen also received a research “gray award” in the social sciences category in the Showcase for Undergraduate Research and Creative Activities (SURCA) for his presentation “Development of a Survey to Investigate Study Abroad Destination Choice.” His research produced a high-quality survey instrument to investigate factors that influence students while selecting their study abroad destination. Nguyen was also recently named as a Carson Fellow for 2018-19, a scholarship award given to junior or senior student researchers. Read more about the Carson Fellow awards. 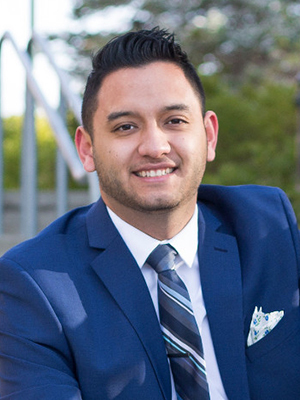 The Cougar Investment Fund, an investment portfolio managed by finance students in Professor Mario Reyes’ Cougar Investment Fund course, outperformed the S&P500 once again. The stock market fluctuated during the January 1-May 11, 2018, time period, and during that time, the benchmark S&P500 generated a cumulative return of 2.02 percent, says Reyes. The Cougar Investment Fund, on the other hand, returned 7.92 percent. Student portfolio managers Munya Chiro (’18 Fin.) and Paige Olinger (’18 Fin. and Acc.) led the investment decisions made by the class. Carson College seniors Alivia Brown (’18 Bus. Mgmt. Inn.&Chng.) and Monae Hendrickson (’18 Mktg., Int. Bus.) 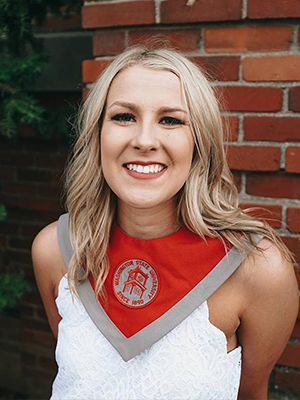 were recognized among WSU’s top ten seniors honored for representing the highest standards in specific aspects of the college experience, including academics, athletics, campus involvement, community service, and visual and performing arts. 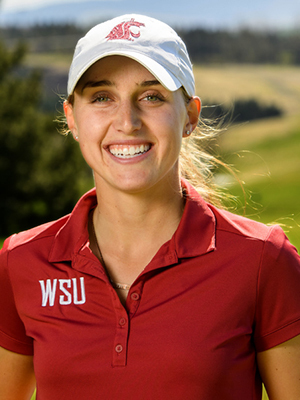 Brown was a four-year member of the WSU women’s golf team, team captain for her senior season, Women’s College Golf Academic All-American, Pac-12 Academic Team, WSU Academic Team, selected to compete at the NCAA Regional Championships during her freshman and junior years, won the 2017 Cougar Cup Individual Title, holds school records for women’s golf in player career scoring average, player career par or better rounds, player single season scoring average, player single season par 4 scoring, and player single season par or better rounds. She plans on pursuing a professional career in golf and hopes to someday open a bakery and coffee shop. 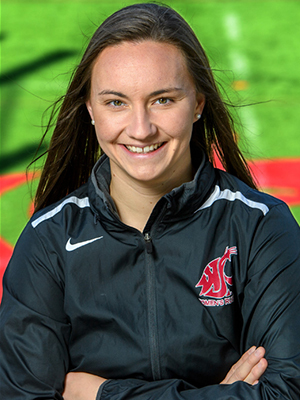 Hendrickson was president of the WSU women’s rugby club since 2016, coordinated the first overseas tour for a WSU sports club team in over 30 years, was vice president of the International Business Club, and served as a Sports Club Federation board member. 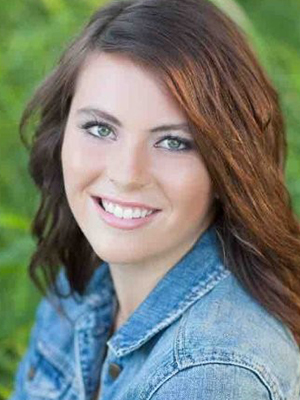 She plans to work for Mutual of Omaha as a financial consultant. 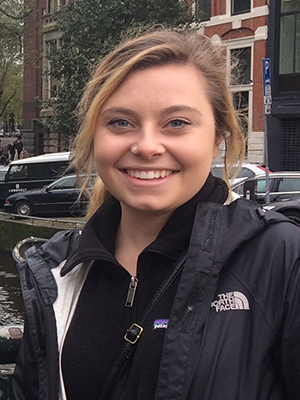 Elise Bugge, an environmental and ecosystem sciences major, was recently named as a Carson Fellow. Read more about the Carson Fellow awards. 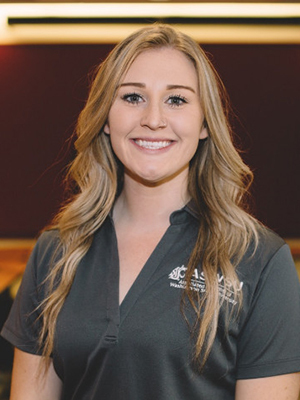 Cassidy Clark was selected as the Outstanding Senior in the School of Hospitality Business Management. 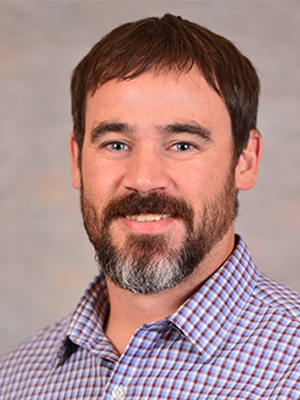 Information systems doctoral student John Correia recently published a paper “InfoSec Process Action Model (IPAM): Systematically Addressing Individual Security Behavior” in the ACM SIGMIS database: the DATABASE for Advances in Information Systems, 49(1), 49-66. 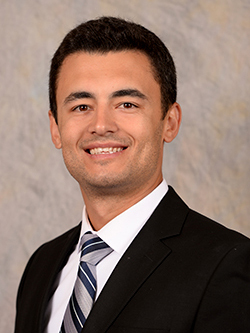 Andrew Hecker, an accounting major and president of Beta Alpha Psi, received a $10,000 scholarship from the Public Company Accounting Oversight Board. The merit-based scholarship intends to encourage accounting students to pursue careers in audit. To qualify, students must be enrolled in a bachelor’s or master’s degree program in accounting at a regionally accredited U.S. college or university, demonstrate interest and aptitude in accounting and auditing, and demonstrate high ethical standards. 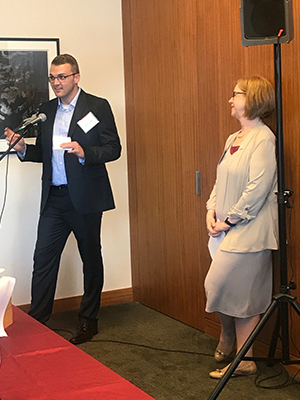 Recent marketing doctoral graduate Ismail Karabas (’18) won first place in the administrative and information systems category and a $1,000 scholarship in the 2018 Graduate and Professional Student Association (GPSA) Research Exposition for his presentation “Tipping Required: Understanding Customer Reactions to Nonvoluntary Tipping Systems.” His research examined new trends in tipping practices, noting 18 percent of restaurants have adopted a nonvoluntary tipping model, for example, adding tips to the bill regardless of table size, while an additional 29 percent are expected to follow. Compared to voluntary tipping models, he found nonvoluntary tipping leads to a lack of perceived customer autonomy, higher customer anger, and likely less customer patronage. 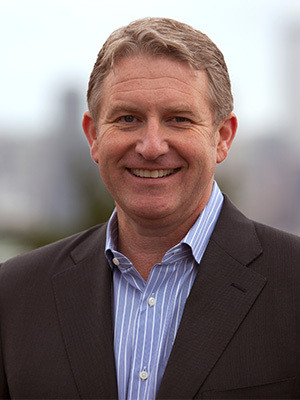 Jackson was also recently named a Glassdoor highest rated CEO for the fourth year in a row. Read more about Jackson’s Glassdoor rating. 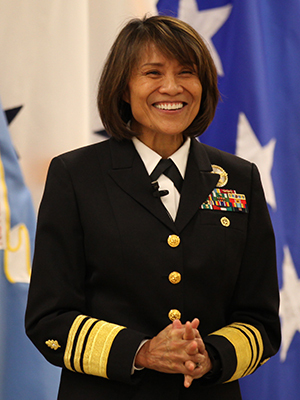 Vice Admiral Raquel Bono, M.D. 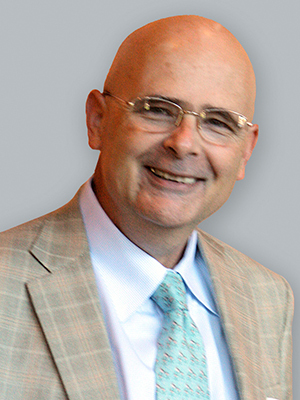 (’15 EMBA) delivered the keynote address at the University of Texas at Austin graduation May 19. Before she began the WSU Executive MBA program, Bono had already built a successful career in the U.S. Navy Medical Corps. She was commissioned in 1979 and earned her bachelor’s degree from the University of Texas at Austin. She attended medical school at Texas Tech University and completed her surgical internship and general surgery residency at the Naval Medical Center in Portsmouth. Read more about Raquel Bono’s Executive MBA experience. 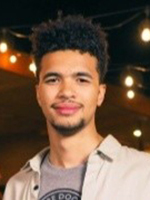 Navaraj “Raj” Lamichhane (’18 Bus. Admin. 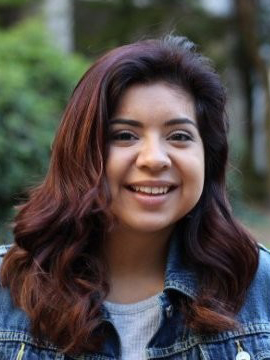 ), a recent WSU Vancouver graduate with a Professional Sales Certificate, received the Chancellor’s Award for Student Achievement. The annual award recognizes one student’s love of learning, persistence to overcome barriers in pursuit of academic goals, leadership potential, and involvement in campus life. 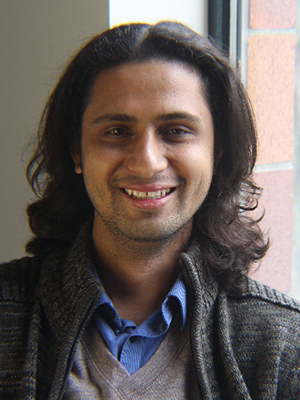 Lamichhane hopes to work in the renewable energy field and ultimately to improve the quality of life in his home country, Nepal. Gaunette Sinclair-Maragh (’14 Hosp. 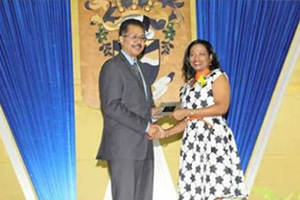 ), associate professor and head of the School of Hospitality and Tourism Management at University of Technology, Jamaica, received the President’s Award for Excellence in Research at the University of Technology, Jamaica’s (UTech) 48th annual university awards ceremony. She was recognized for her expertise in ecotourism, environmental sustainability, and economic development and her research efforts. She has presented at several conferences and published her research in peer-reviewed journals, books, and local newspapers. 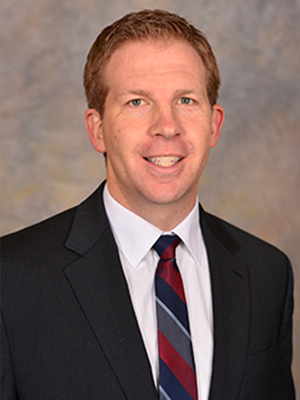 Beau Barnes, assistant professor of accounting, has earned tenure and promotion to associate professor. 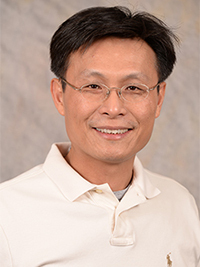 Ming-Hsiang Chen, associate professor of hospitality business management, has earned promotion to full professor. 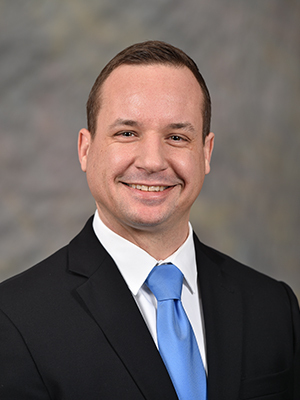 Assistant Professor Robert Crossler’s researcher paper “The Role of Accounting and Professional Associations in IT Security Auditing: An AMCIS Panel Report” was accepted for publication in Communications of the Association for Information Systems. Coauthors include T. Stafford, G. Gal, R. E. Poston, R. Jiang, and R. Lyons. 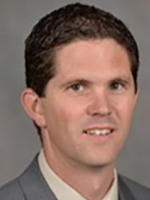 DJ Fairhurst, assistant professor of finance and management science, and coauthor Yoonsoo Nam, finance doctoral student, had a paper “Corporate Governance and Financial Peer Effects” accepted for publication in Financial Management. 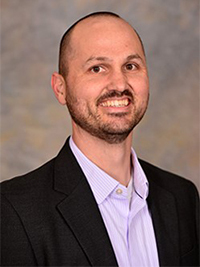 Eric Hollenbeck, communications manager, was recently elected as a council member of the WSU Administrative Professional Advisory Council (APAC). 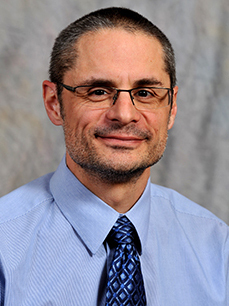 Jeff Joireman, associate professor of marketing, has earned promotion to full professor. 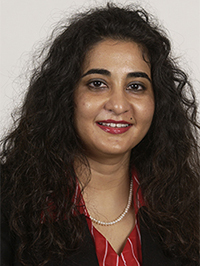 K. D. Joshi, professor and chair of the Department of Management, Information Systems, and Entrepreneurship, was a panelist during WiSTEM, a University-wide week of events featuring women in STEM. 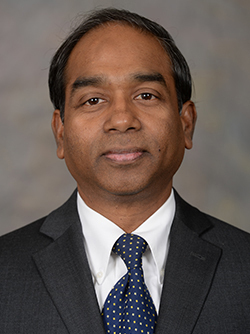 Babu John Mariadoss, associate professor of marketing, earned several recent recognitions including: appointed the Honors Faculty Fellow by Provost for the years 2017 to 2020, recognizing past and future plans to continue teaching and mentoring of Honors College Student; appointed to the Direct Selling Education Foundation for the years 2017 to 2020; awarded the ASWSU Faculty Staff Appreciation Award for use of open educational resources/reducing textbook cost for students at WSU in 2017; awarded the WSU Affordable Learning Summer Grant 2018 to develop open education resources to reduce student costs; appointed as a WSU LIFT Faculty Fellow for the academic year 2018; chair of the research panel “Resources and Relationships in the Marketing Industry: A Retailing Industry Focus” at the Industry Studies Conference, conducted by the Industry Studies Association. 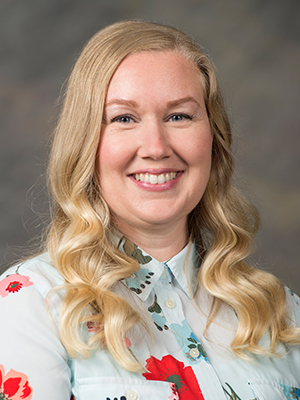 Stephanie Rink, assistant to the dean, was appointed chair of the WSU Administrative Professional Advisory Council (APAC), a University-wide advocacy council that provides institutional-level advocacy in support of administrative professional staff (APs). APAC serves as a liaison with WSU senior administration, communicating matters of interest to APs, soliciting feedback from APs, and providing professional development opportunities for all staff. 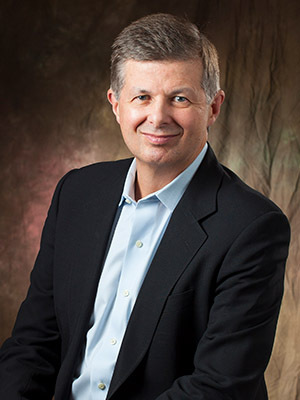 Part of the chair’s duties include monthly executive meetings with President Schulz, reporting to the WSU Board of Regents at each of their meetings, leading the monthly APAC meetings, participating in convocation and commencements, and traveling around the state to hold forums for APs on all WSU campuses. 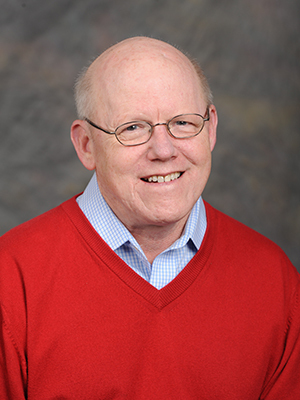 Tom Sanford, academic advisor, was recently elected as a council member of the WSU Administrative Professional Advisory Council (APAC). 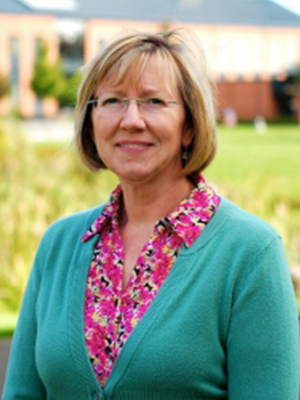 Mary Stender, academic coordinator, WSU Vancouver, was recognized WSU’s Administrative Professional Advisory Council (APAC) as one of six outstanding administrative professional employees. Read press release highlighting 2018 APAC awards.